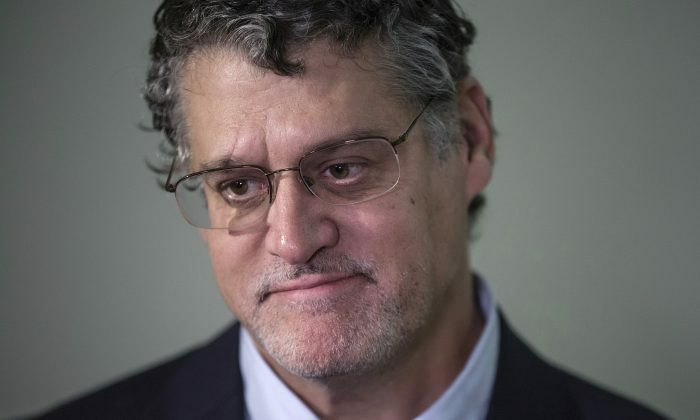 Fusion GPS co-founder Glenn Simpson reportedly invoked his Fifth Amendment right against self-incrimination during a closed-door interview on Oct. 16, after being subpoenaed by a joint House panel. What might be overlooked is that Simpson also invoked his First Amendment right to freedom of speech and freedom of association. Fusion GPS, the firm that commissioned the dossier produced by former MI6 agent Christopher Steele, also employed Nellie Ohr, the wife of former Associate Deputy Attorney General Bruce Ohr. There are some obvious reasons why Simpson might plead the Fifth. Bruce Ohr recently testified during congressional testimony that he met with Simpson prior to the FBI obtaining a FISA warrant on Trump campaign adviser Carter Page. At the time, Ohr was the fourth-highest ranking official at the Justice Department (DOJ) and was the director of the Organized Crime Drug Enforcement Task Forces. Ohr also was communicating on an ongoing basis with Steele. “Simpson had previously testified under oath to the House Intelligence Committee that he never met with Bruce Ohr or discussed with Bruce Ohr the Steele dossier prior to the October FISA application in 2016 or the 2016 presidential election. That is in direct contradiction to what Bruce Ohr told me under oath last month,” Ratcliffe said. Ohr’s assertion appears to be backed up in documents turned over to Congress by the DOJ. On Aug. 22, 2016, Ohr received an email from Simpson asking, “Can u ring.” Ohr’s contact log lists some type of interaction with Simpson that day. Steele had finished a new dossier installment that referenced former Trump campaign chairman Paul Manafort on Aug. 22, 2016. The Fifth Amendment provides certain levels of protection against self-incrimination. It doesn’t, however, protect an individual from testimony concerning other individuals. “Undeniably, the First Amendment in some circumstances protects an individual from being compelled to disclose his associational relationships. However, the protections of the First Amendment,… do not afford a witness the right to resist inquiry in all circumstances. Rep. Trey Gowdy (R-S.C.): Which privileges, in particular, are you concerned about? Joshua Levy: Constitutional and common law privileges, First Amendment, Fifth Amendment, attorney work product doctrine. Gowdy: I have a vague familiarity with the Fifth Amendment. What is the First Amendment privilege? Levy: There is a First Amendment privilege to free association and free speech. Gowdy: I agree with both of those. How would they limit your client’s ability to answer questions? Rep. Adam Schiff (D-Calif.) clarified Simpson’s reasoning for invoking the First Amendment, noting that topics relating to the Russia investigation were probably fine. Other areas of investigation, including “finding out about other clients who are unrelated to this investigation or other op research they’ve done” were out of bounds. Ultimately, an agreement was reached, leading to Simpson’s full interview on Nov. 14, 2017, before the House Intelligence Committee. “You have requested that Fusion GPS reveal the names of any clients that had retained the company for the purpose of performing opposition research on a major political party candidate for president. You likewise have requested that Fusion GPS disclose all of its internal communications regarding any such opposition research. An agreement was ultimately reached between Grassley and Simpson’s attorney that allowed for Simpson to be interviewed by the Senate Judiciary Committee in August, without waiving First and Fifth Amendment privileges that protected Fusion GPS and the identity of its clients in future litigation. 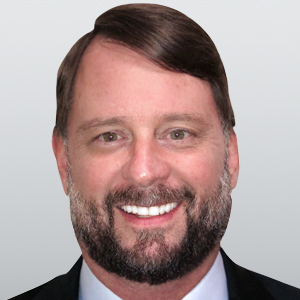 Simpson has consistently attempted to cloak his clients under the protection of the First Amendment. Which raises several questions: Did other clients or participants remain unnamed? What activities were these clients engaging in? And where might these clients lead investigators? Simpson’s invocation of the Fifth and First amendments goes beyond self-incrimination.